Perfect Labels-Lanyards: Give your Garments the edge with Printed Swing Tags! Give your Garments the edge with Printed Swing Tags! Customised Printed Swing Tags can add that perfect finishing touch to your garments or clothing products. If you want to stand out of the crowd and shout about your brand a well made Printed Swing Tag is just the ticket. Alongside our customised garment labels we are also able to create custom Printed Swing Tags. Our Printed Swing Tags are ideal for clothing and fashion items giving your products a unique and custom made touch. 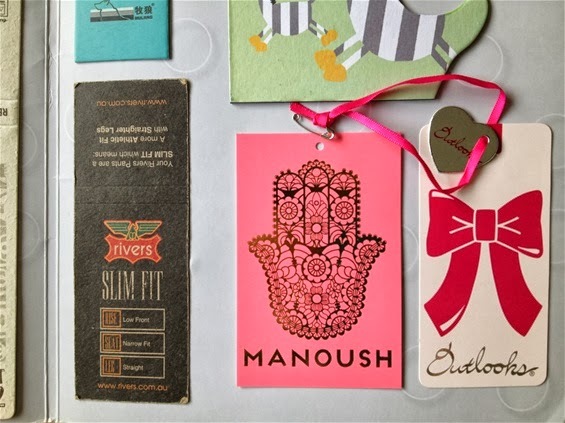 If you are a designer, dress maker or wholesale clothing company then our Printed Swing Tags are the perfect finishing touch. Our Printed Swing Tags can be made to a variety of specifications including size, style, colour and text creating a perfect finished product. Perfect Labels-Lanyards has been manufacturing Printed Swing Tags for business for more than 15 years and we are one of the leading suppliers in the UK. We provide professional knowledge and consultation related to the design of Printed Swing Tag with quality reflecting our customers' brand image and corporate culture. This enables us to build a strong bond and positive partnership with all our customers. Order your Printed Swing Tags today. Contact our team direct on 0116 326 0213 / 07716 108 100 or fill out our online enquiry form and we'll get back to you to discuss your needs and specifications.